Rita Skeeter is an unregisterd Animagus and she uses her skill to eavesdrop on people she wants to write about. This is left out. 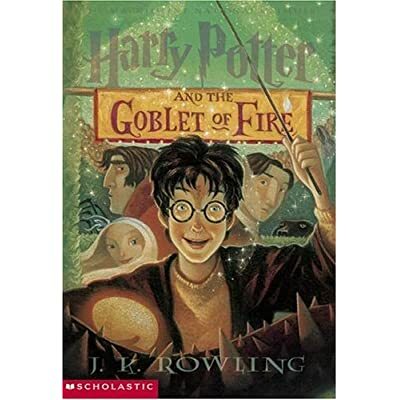 Skeeter interviews Colin Creevy and suggests that Harry and Hermione are romantically involved. A photo is taken when Hermione hugs Harry before the fist task. This is what is used to suggest that Harry and Hermione are involved. Harry uses his flying skill to grab the egg the Dragon is guarding during the first task. Harry gets the dragon to leave the area and chase him. It eventually smashes into a bridge so Harry can go and retrieve the egg. Seamus takes Lavender to the Yule Ball. Draco takes Pansy Parkinson. Both boys go with unnamed Beauxbatons students. The second task began on the shore of the lake. They started on a platform built in the middle of the water.